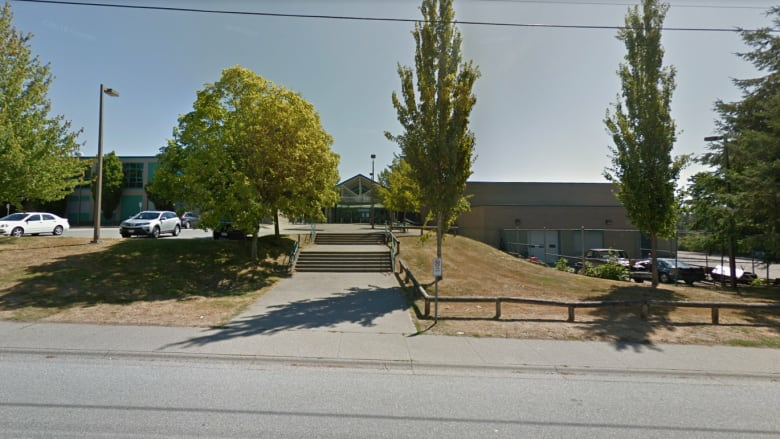 Fraser Health is urging students and staff of Fleetwood Park Secondary School to check their vaccination records after a person with measles came to the Surrey school. A health authority spokesperson told CBC in an email the exposure comes from a single person who visited three Surrey locations, including the school. The spokesperson said Fraser Health is not issuing a wider public alert. Rather it is notifying people at the three Surrey locations the person visited. The spokesperson did not identify the other two locations that may have been exposed. Surrey Schools spokesperson Doug Strachan said it's not clear if the person with measles is a student. The district, he said, was made aware of the situation within the last day or two. He said in his 15 years working at the district, he has not heard of a measles scare like this before. In a letter posted on the school's website, the Fraser Health said free immunization clinics will be held for students and staff Thursday and Friday if their vaccination status is unclear or incomplete. Measles is highly contagious. Fraser Health says any student or staff member born since 1970 who has not been given any doses of the MMR vaccine (which protects against mumps, measles and rubella) will not be allowed to return to Fleetwood Park until Nov. 26 without proof of immunity.